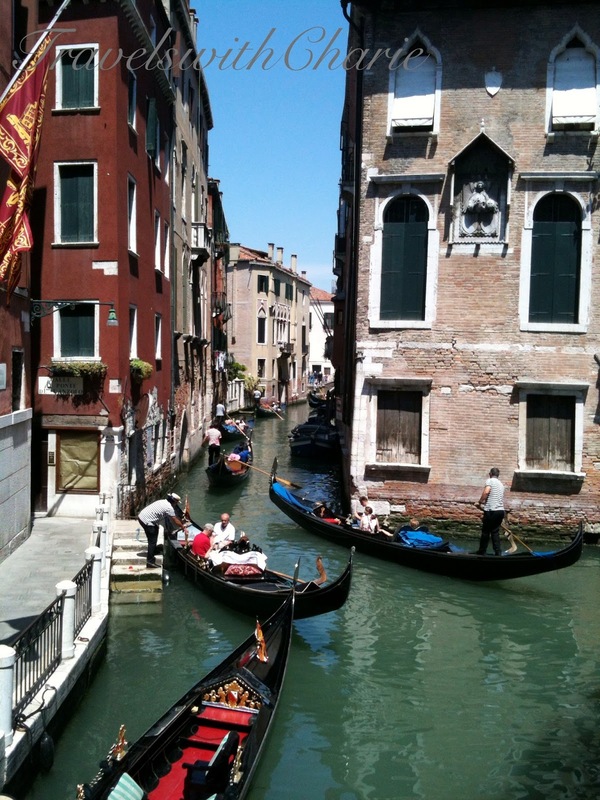 One too many gondolas on a narrow canal spells traffic. This is the scene during the busy summer months. Trying to find a quiet corner can be challenging.